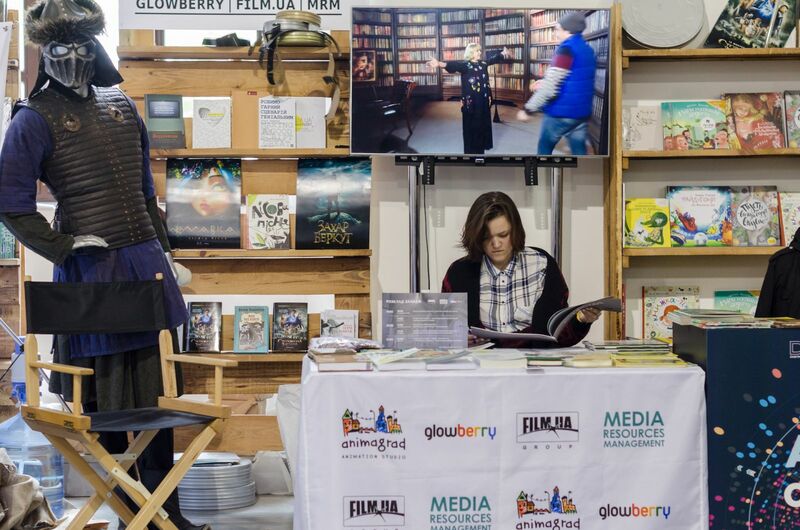 Between May 17 and 21, FILM.UA Group presented its stand as well as a cycle of special events joined into Great Screenings program at the 7th Book Arsenal festival. The stand featured such books as The Stronghold by Vladimir Rutkovsky (A-BA-BA-HA-LA-MA-HA publishing house), Felix Austria by Sofia Andrukhovych (Staryi Lev), a cycle of detective novellas by Borys Kolomyichuk (Folio), The Forest Song by Lesya Ukrainka (Osnovy) – FILM.UA is presently working on their screenings; there was also MediaBook professional series on film and TV production from MRM and children’s literature from Glowberry. 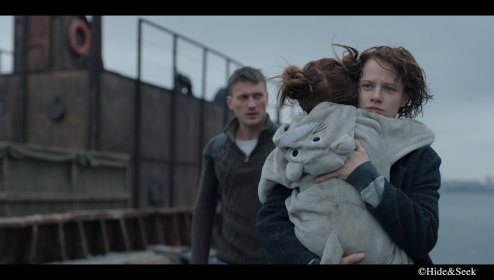 Apart from all this, guests could get immersed in virtual reality and see the filming of The Stronghold, first Ukrainian fantasy feature, as well as buy souvenirs from Animagrad animation projects, Mavka. The Forest Song and The Stolen Princess. On May 19, the first screening of a pilot episode from Mom Hurries Home project (Glowberry, FILM.UA Group) took place. 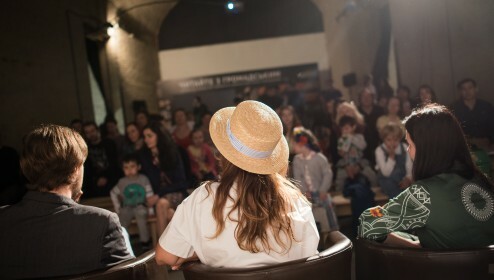 The visitors of the event had a unique chance to communicate with all authors of the story about Mom at once: for the first time in eight years, thanks to Glowberry’s efforts, Svetlana Dorosheva paid a visit to Ukraine. 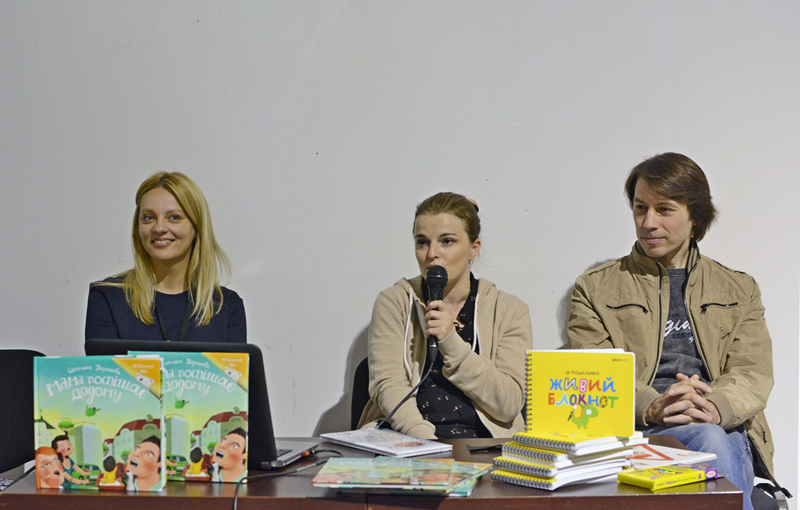 She is a world-renowned illustrator and an author of the book Mom Hurries Home; besides, Glowberry creative director Olga Cherepanova and director of animated series Yevgeny Alekhin were also present at the Friday meeting. They told about the long way the project had to make from an idea to a book, and then from a book to a series, about its international successes and ambitious plans for the future. In the framework of the meeting, Glowberry team also presented an application called Live Notepad. 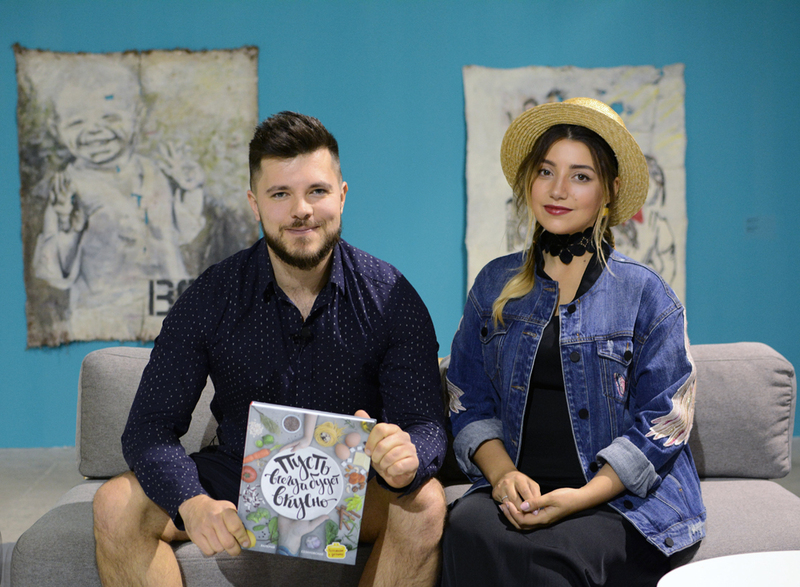 It is an original children’s coloring book made using augmented reality (AR) technology featuring characters from the Mom Hurries Home series. With the help of an app for smartphones and tablets, right before the eyes of a young artist the colored drawing comes alive and becomes a 3D image. 3D Artist application was commissioned by Glowberry and developed by Signal Red production house. It will be available in Ukrainian and international versions; you can already download a version for Android here, and the IOS version is due to be published soon. 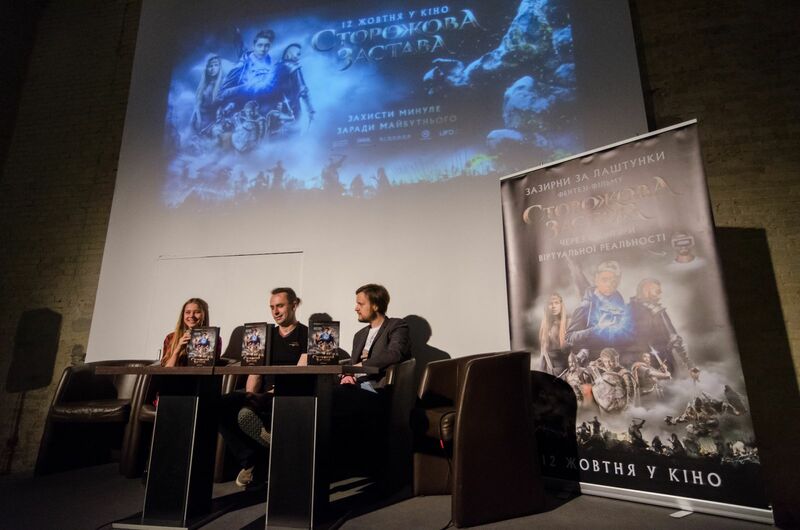 On May 20, festival guests watched working footage from The Stronghold, first Ukrainian fantasy feature to be premiered on October 12 and also talked to the film producer Egor Olesov, screenwriter Yaroslav Voytseshek and female lead Eva Kosheva. The speakers shared some fascinating details about film creation, work on characters and the story as well as challenges filmmakers face when transposing a story from the book to the big screen. Parallel to The Stronghold screening, in the framework of children’s program at the festival, Valeriy Sozanovsky, brand chef and author of the book Always Delicious, together with Tatyana Bondarchuk, founder of the first Ukrainian company producing healthy food Eat Easy, held an open dialogue with festival guests about the basics of healthy eating for children. The guests could ask any questions and find out useful information about nutritious and delicious food not just in theory but also from personal experience of professionals. 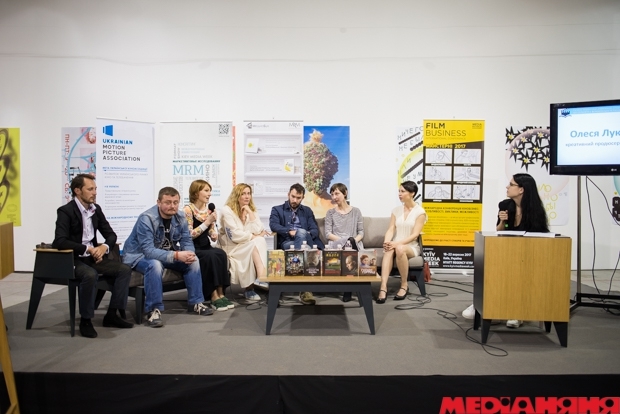 The same day, during the panel discussion entitled “Contemporary Screenings of Ukrainian Literature: What Do Filmmakers and Writers Have in Common?” the speakers discussed the creation of such films as Felix Austria, Voroshylovgrad, Neprosti, The Stronghold, Lemberg, Airport, Zakhar Berkut, Mavka. The Forest Song, Jacob’s Century, and Red. You can read a detailed report about this event in a Mediananny article if you follow this link. On Sunday, on May 21, Film Hall No. 1 hosted a presentation of animation features from Animagrad studio. For the first time, the audience saw new episodes from The Stolen Princess cartoon to be premiered in Ukraine and internationally on March 7, 2018. Egor Olesov, project producer, told about ongoing work, answered the viewers’ questions and shared international successes of the project. The studio team also presented working materials of Mavka. The Forest Song. Video arts with new locations and characters were shown, and project producers Anna Eliseeva and Irina Kostyuk provided a detailed account about making Mavka’s universe a reality, the project’s social and cultural mission, and the reaction to the film from European and global audience during pitchings and film markets. 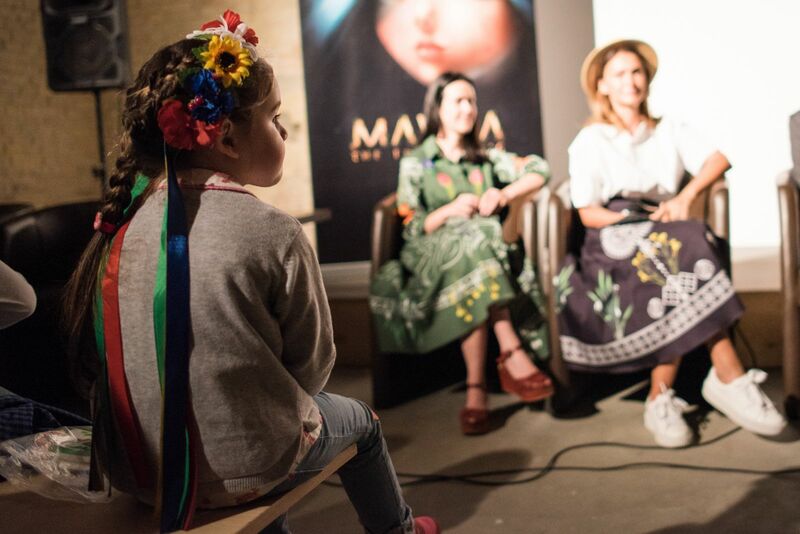 The main award for Animagrad team was an energetic and very warm reaction to all presented materials, a wealth of questions and genuine interest spurred by both Mavka and princess Mila among the youngest audience. The first experience of work at Book Arsenal was encouraging as we were able to see that the audience is interested not just in Ukrainian literature but also in its cinematic interpretation. The visitors were wondering about the reasons for choosing this or that story for the screening, the process of film production, communication with the authors and a possibility to adapt one’s own script. All this has inspired us to participate in Book Arsenal 2018!